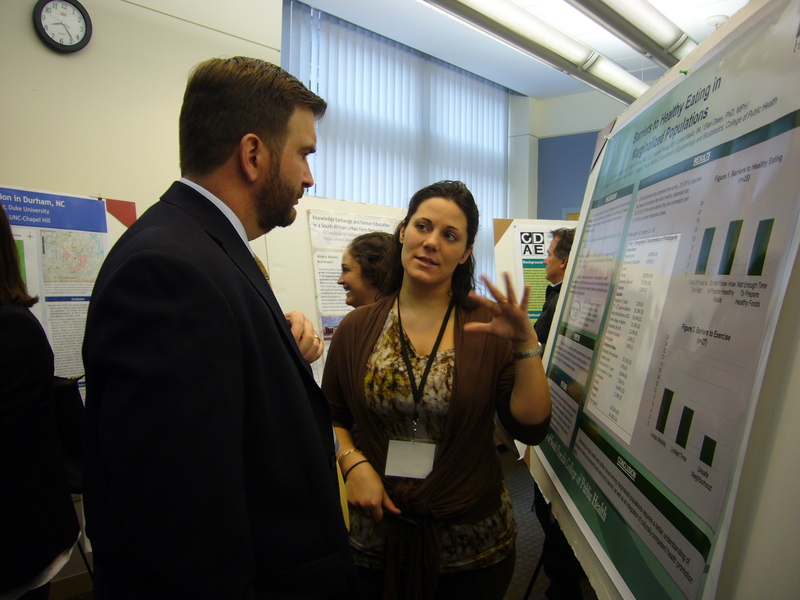 On March 31, 2012, the sixth annual Future of Food and Nutrition Student Research Conference welcomed over 150 attendees to hear students from 32 different universities across the country present their original research. 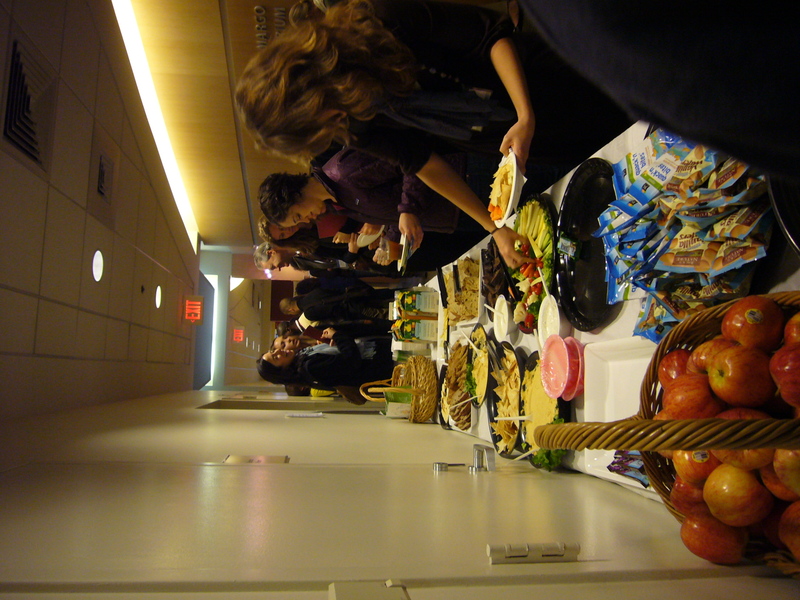 According to the conference’s website, the one-day event is “a unique venue for graduate students across disciplines…to submit and present original research relating to the food system and/or nutrition science.” The presenters at this conference came from many schools, both near -such as Tufts University, Massachusetts Institute of Technology, and Boston University– and far – such as the University of South Florida and Emory University. The research topics were just as diverse. Oral and poster presentations ranged from the anthropology of Vietnamese street food policy by Emory’s Alex Pill to the epigenetics of nutrition and aging by Tufts’s own Lara Park, MS. The conference is entirely student-run. The all-student committee has been planning the conference since October. They solicited and read through abstracts, gathered food donations, convened a prestigious panel of speakers, and publicized for the event. Conference Committee Co-Chair, Brooke Smith, said that “record numbers” of abstracts began coming in at the end of last year from students doing research all over the world. This further shows the breadth that this conference spans each year, connecting students from many different areas and connecting the work they are doing. Impressive, one might say. In fact, “impressive” is the single most-used word attendees used to describe the conference that day. Ginny Chomitz, a professor at the Tufts School of Medicine and one of the conference moderators, helped with reading through some of the submitted abstracts. She lauded the organized planning of the conference and noted, “I am totally, completely, impressed by the number of abstracts we received and the type of research that students are doing,” she said. 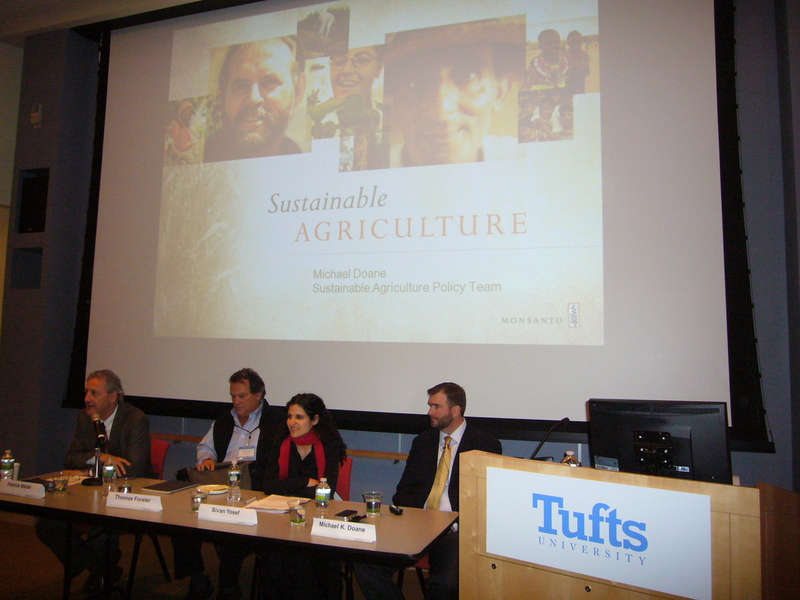 This year’s panel discussion, “Seven Billion Strong: Approaches to Feeding the World” featured panelists Michael K. Doane, Vice President of Sustainable Agricultural Policy for Monsanto; Thomas Forster, Policy Advisor at School Food FOCUS and faculty member of the Food Studies Program at the New School; and Sivan Yosef, a research analyst at the International Food Policy Research Institute (IFPRI). Read more about the panelists here. The panelists each spoke about how their work and research relates to current trends in nutrition and food policy and what they are doing to focus on ways to feed the expanding population. Furthermore, they commended the student researchers and encouraged students to continue finding ways to use this research to affect global change in the fields of food and nutrition. The conference also served as a networking opportunity for students interested in food and nutrition, including accepted students looking to enter Friedman this coming fall. 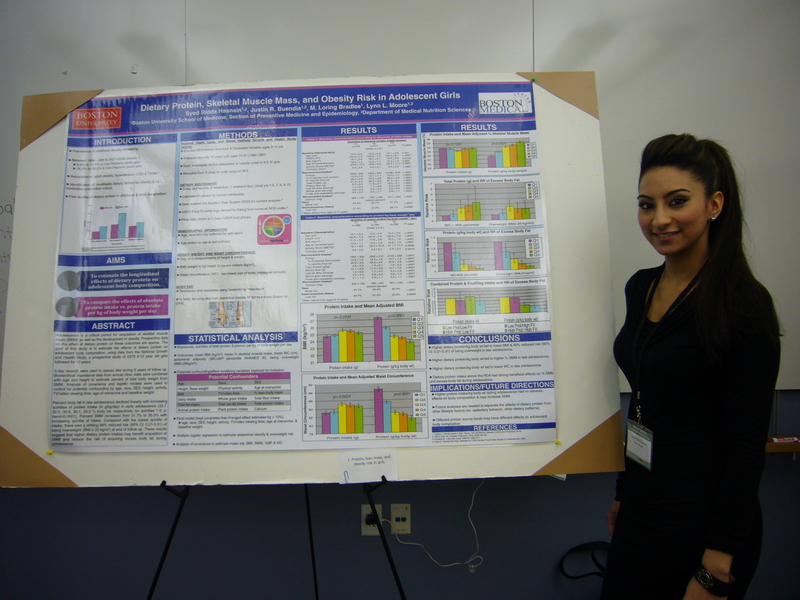 Accepted students attended the conference for free and got a glimpse of current research topics in the field of nutrition. The conference gave Jonah Adels, a prospective AFE student, an idea of “what the interdisciplinary scene would be like.” Similarly, Ellen Abrams, a student accepted into the FPAN program, got a better sense of the sort of research she’d be interested in pursuing. “The broad reach of student research, from economics to the science of aging, is telling: what one can study at Friedman is endless,” Ellen said. “It’s really… impressive,” she added. 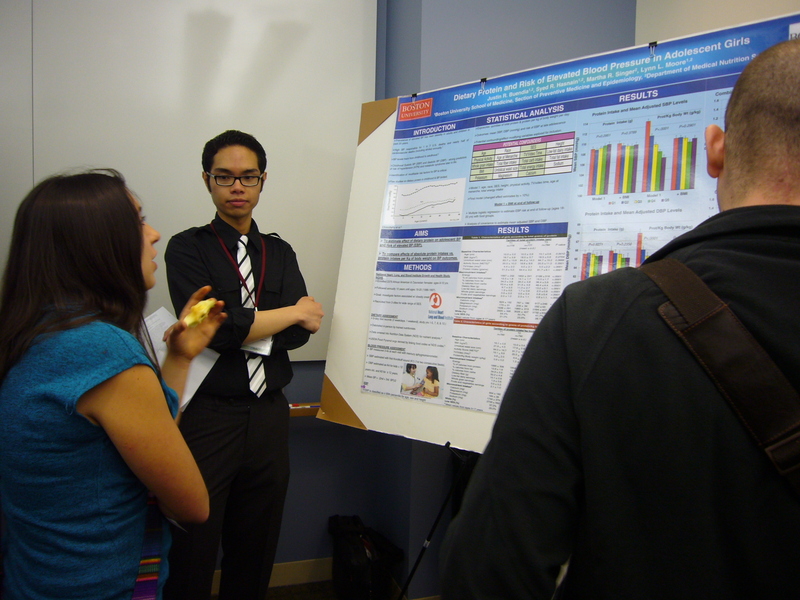 For information about attending next year’s conference, go to http://studentconference.nutrition.tufts.edu/. Mimi DelGizzi is an incoming dual-degree student, pursuing a MS in Food Policy and Applied Nutrition and a MPH in Health Communication.